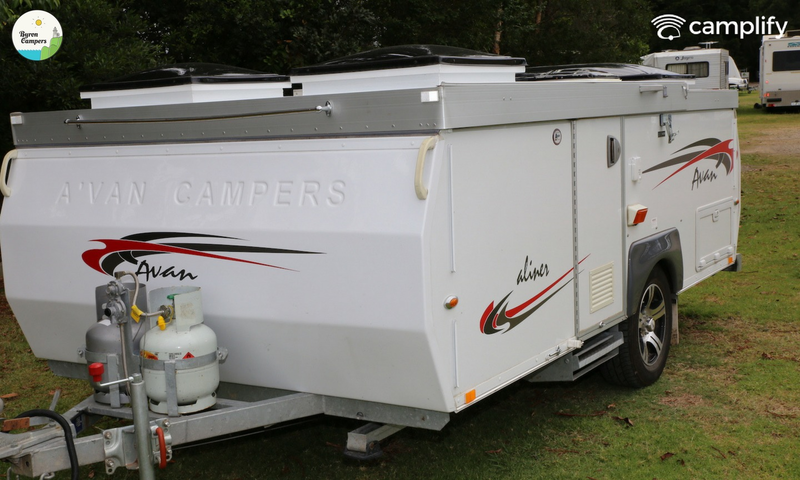 Mullumbimby, NSW - Avan Camper caravan for hire. Incredibly quick to erect and pull down. 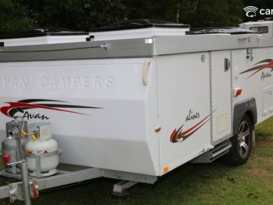 Comes with everything you need for your getaway such as a kitchen with microwave, fridge, gas burner, awning and more. Available for Set up, Self tow. 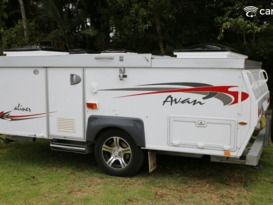 This Avan is fantastic for camping it is lightweight and can be towed by most cars. The camper is in amazing condition almost as new and perfect for quick weekends away or long camping adventures. The true pleasure of the Aliner is that you can stop by the roadside and have the billy on the stove in under 3 minutes! This van is fitted with a solar panel to trickle charge the deep cycle battery enabling you to camp free of the need for 240V power for several days. 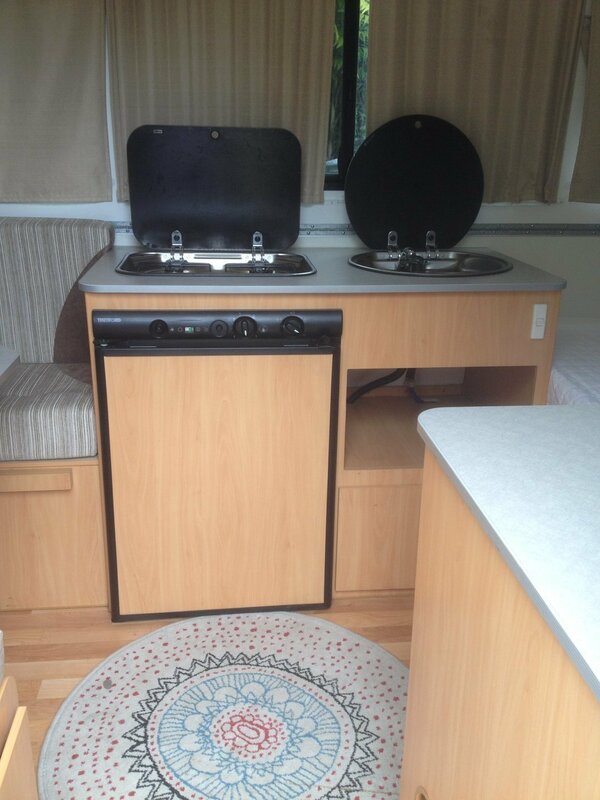 It comes equipped with a gas/electric fridge/freezer, gas cooker, a table and chairs to enjoy the outdoors, all cutlery, crockery and all of the cooking utensils that you will require. 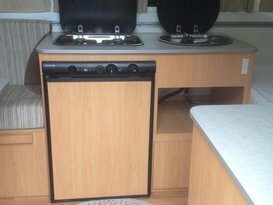 We also supply as standard a camping stove for cooking outdoors. (We can supply linen if necessary at a small extra charge). Ask us about the availability of a shower, chemical toilet an d privacy tent..Longer term hire rates by negotiation. Great little van for 2 people. Compact an practical. Had everything one needs for a getaway. Would definitely use it and camplify again. Perfect size for 2 people. Was exactly what we need. Speedy setup and take down. Rob was so helpful and made the whole process seamless! We had a wonderful experience with ByronCampers. The A'Van was comfortable and so quick and easy to set up. We had everything we needed, Robert had thought of everything. Even cyclonic wind and rain wasn't a problem. Perfect. Communication was great with ByronCampers and they delivered what was promised with no issues. Good quality, well-maintained vehicles. A company with a high integrity. We highly recommend this company. The local competition can be a little hit and miss. No issues here. Clean and comfy but fridge didn't work which was a shame. Thanks for the great service Rob. I will definitely reccomend your vans to anyone planning a stay in one of the most awesome regions of Aus. From the outset Rob was very helpful and responsive to all our enquiries. He was professional and friendly to deal with. 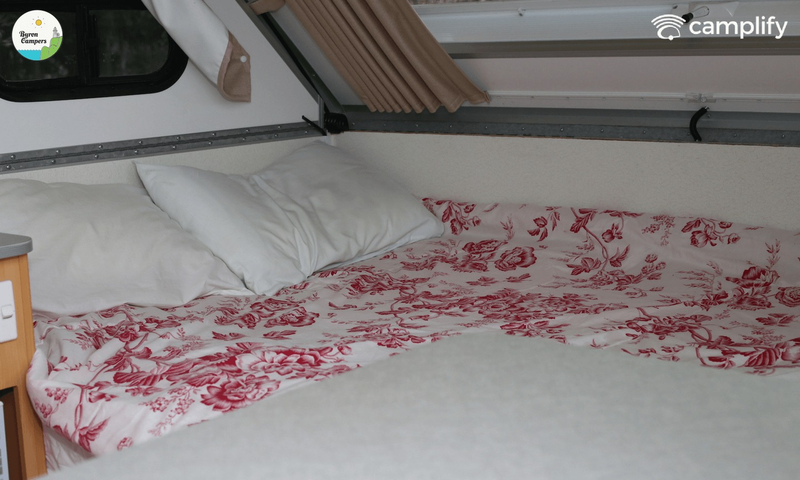 We were very happy with how he set the Avan up to our specifications and went out of his way to make our arrival welcoming. 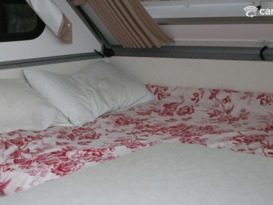 We were also impressed with the cleanliness and comfort of the Avan and all its facilities. Would we hire from Rob's ByronCampers again? Absolutely! 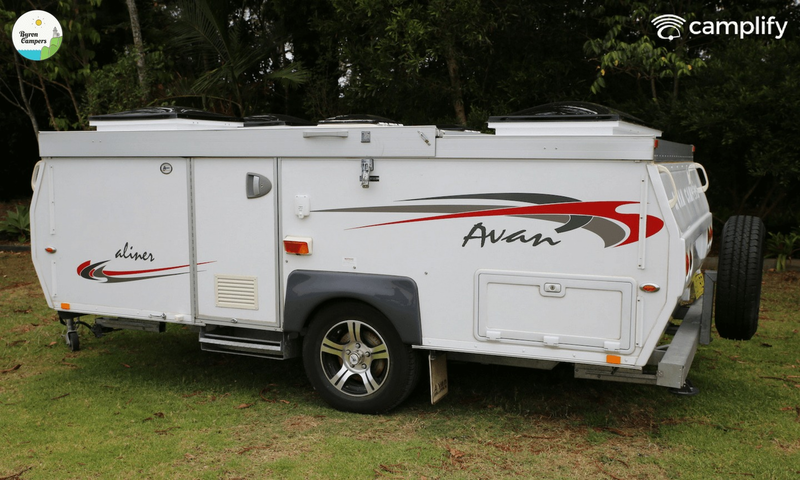 We recently hired the 2014 AVAN for a long weekend and were really happy with the van and the whole experience using Byron Campers. We will definitely hire from Byron Campers again! I can't speak highly enough of the service and attention to detail I received from Robert when I hired this van recently. He was in communication with me about all the little details, making sure I had everything I needed and that the van was set up exactly where I needed it. It was so convenient to have the van near the horse stables at Bangalow showground. In previous years, we had stayed at motels and had to commute back and forth to the horses, but this was by far the best situation for our needs. The cute van had everything we needed - and much more. Three of us slept comfortably in it, and while we did not make use of the sleek cooking facilities, we certainly sat under the awning in the chairs Robert provided. I recommend you contact Robert - he will make a perfect fit for you and your getaway plans. Robert was very helpful and quick with communication. 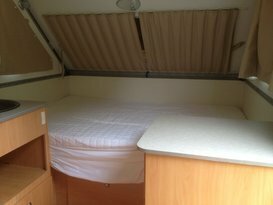 The Avan was as described, clean neat and modern with everything we needed included. We had a restful trip and would definitely hire from Robert again. Robert Becher, 60 yrs old. Working in the Public health service. Born in Sydney, moved to Mullumbimby in 1996. 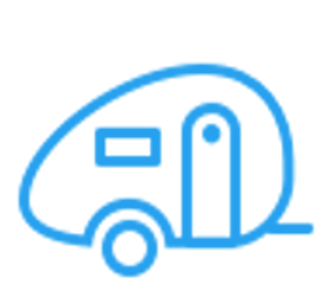 My wife and I began ByronCampers in 2015 as a part time business.